In the last few years, the debate around whistleblowing and leaking has demonstrated the importance of enhancing technologies for social and political change that come from within closed, institutionalized systems. In a political framework that has been defined as ›post-truth‹, a paradoxically growing number of ›truth-tellers‹ have demonstrated that it is possible to denounce governmental and corporative misconduct, misinformation, and wrongdoing by revealing facts and, thus, producing awareness about social, political, and technological matters. We are witnessing an increasing political engagement of technologically skilled truth-tellers able to focus on sensitive subjects bypassing barriers of inaccessible, hidden and sensitive information. Truth-tellers such as Chelsea Manning, Edward Snowden, Jeremy Hammond, just to name a few, have exposed complex networks of powers, as well as demonstrated that a big power can be undermined by a single individual that takes the risk – unfortunately at a high personal cost. After the election of President Trump, the press and the civic society is reacting to undermine a political strategy that generates chaos interlinking the fake and the real, the act of truth-telling is becoming a widespread phenomenon. Members of the press feel the need to respond to governmental misinformation with facts, which are in turn accused by the President to be fakes. In this loop of truth-telling and fake-production, forms of geopolitical surveillance and control keep running underneath as before – if not strengthened. Pervasive data surveillance, arbitrary detention measures at border controls, implementation of online tracking and body recognition software, data mining, and the digitalization of our everyday life for commercial purposes, all these scenarios call for a in-depth analysis of the relations between technology and pervasive forms of control. This call wants to focus on the act of producing evidence via artistic practices. What is the role of art in the framework of whistleblowing and leaking? If we expand the concept of art to whistleblowing, leaking and the act of producing awareness of power mechanisms, which kind of tactics and strategies for resistance can we imagine within the technological paradigm and beyond it? How would it be possible to expand forms of agency that are not just technologically determined, but consider technology as a material or political reinvention? The call is addressed to artists, hackers, technologic experts, computer scientists and activists who have been working actively on the topic of truth-telling, leaking, and counter-surveillance, with the aim of exposing misconducts and wrongdoings – as well as to other critical thinkers, through whom issues of whistleblowing, leaking, and disclosing are investigated in their imaginative potential by producing critical interventions which are questioning the concept of »evidence« itself. We particularly encourage projects that work and reflect on the technological framework, but also expand it, by imagining further consequences in the offline scenario of political and social actions. 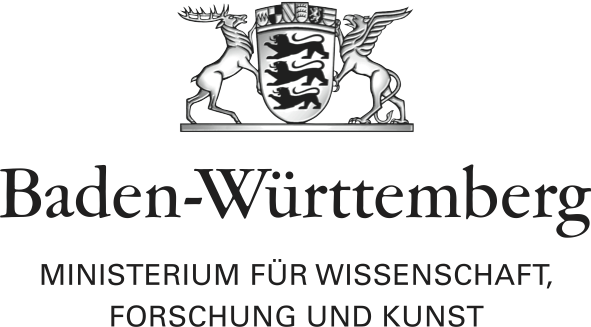 In 2017, Akademie Schloss Solitude, Stuttgart and the ZKM | Center for Art and Media Karlsruhe will announce three calls for »Web Residencies« with different topics designed by invited curators. »Web Residencies« are carried out exclusively online, the works will be presented and documented on www.schloss-post.com and web-residencies.zkm.de. The »Web Residencies« program was initiated by Akademie Schloss Solitude in 2016 to support young talents from the international digital scene as well as artists of all disciplines who deal with web-based practices to present the process and results of their work online. All formats accepted: e.g. websites, installations and software, applications, etc., presentation slides, videos, writing, social media projects (on Facebook, Twitter, Linkedin, etc.). If specific software/environments are needed, please contact us in advance. For each call three to four people or teams will be selected by the curator for a four-week »Web Residency,« which is rewarded with 500 USD to support the realization of a project during a four-week long web residency. In addition to this, a shortlist of the best contributions will be published online. Tatiana Bazzichelli is the artistic director and curator of the Disruption Network Lab and a researcher on hacktivism, net culture, and whistleblowing. Former Solitude fellows or students may also apply. No age limit. By submitting your work, you agree to the data privacy declaration by Akademie Schloss Solitude & the terms and conditions.